We met at Moshav Odem – 1180 m above the sea, tasted the wonderful Druze delicacies, heard Akab from Buqaata and Gadi from Odem about Druze and Israeli coexistence in Golan Heights, then took a guided tour to the Great Juba on the edge of an extinct volcano. On Saturday morning we gathered at the building near Ben-Gurion cabin in Kibbutz Sde Boker, Hot clear day, a day of fun. Registration and opening day was fast and each group went on one of the tracks. Despite the heat, and the long distances, more than 30 Israeli Servas members from Mitzpe Ramon in the South to Mitzpe Abirim in the North, arrived at the Gloria hotel in the Old City, at twelve noon. Servas International is celebrating 60 years since it was founded. Tel Aviv is also celebrating 100 years since it was founded. 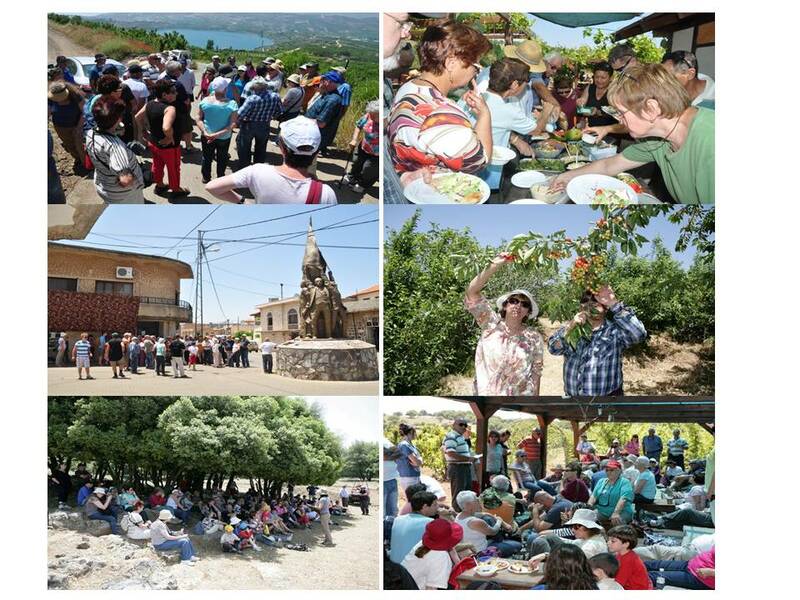 On March 13, in Neve Tzedek, 90 Servas members enjoyed a very successful gathering.